It’s a different, and challenging, workforce out there. As human resources experts study corporate culture, they’re seeing employees who demand more input and opportunity within the workplace — and give less in return, if those things aren’t provided. For corporations, that’s a phenomenon that not only cuts into productivity, but comes with a monetary cost. One recent ADP report found that when workers become disengaged because they are bored, dissatisfied or uninspired by their job, each employee can represent more than $2,000 in annual loss. At that cost, a business with 100 on staff and a wave of disengagement stands to drain away some $60,000 per year — more than the median income of one U.S. household. As the stats add up, the picture of how disengagement threatens companies continues to sharpen. Only 30% of employees in a recent Gallup poll said they felt engaged by the work they do. 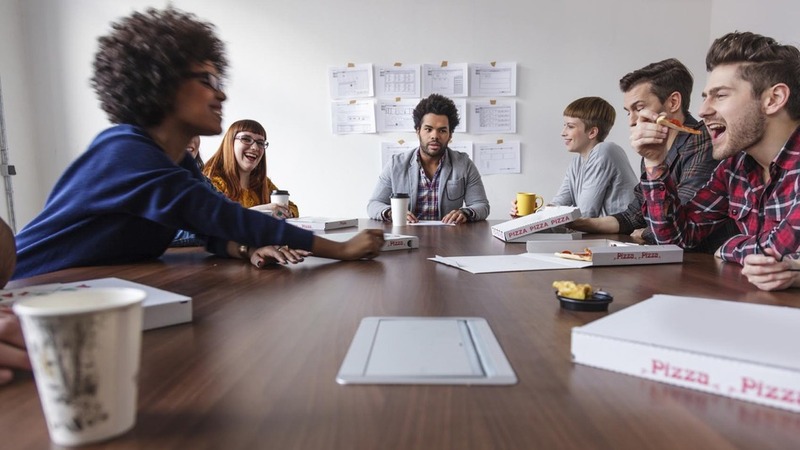 Less than half (49%) of the employees surveyed by ADP said they felt their company’s executives created an environment that drove high performance. When disengagement leads to employees leaving a company, the cost of training new replacements can represent 48% – 61% of the position’s salary, according to the ADP study. Given those statistics — and the stakes that come with them — it’s clear that workplace engagement is key for any corporation looking to stop loss and foster progress. For some, getting to that goal means revisiting the way workers are empowered and encouraged. With that in mind, let’s look at four key strategies for putting engaged employees back at the center of the corporate mission. If the goals are to recalibrate and re-engage a company’s workforce, business leaders would do well to give fresh attention to how they’ve structured the internal flow of creativity and ideas. If you suspect your company’s leadership model is dampening new voices, however, here are four approaches to reopening that important conversation. Create opportunities to re-engage. Every worker wants to be respected and feel rewarded. Environments that engage are ones that foreground openness, honesty and sensitivity to employees’ needs. When an employer creates opportunities to learn and to hone skills, the message becomes one of investment — that the company is amenable to advancing the careers of the people on its teams. When that potential is in play, your workforce re-engages, developing and fulfilling ambitions. And ambition is a powerful driver of achievements for both sides — employee and employer. Open your company’s culture to collaboration. Millennials and later Gen Xers have grown up — or been immersed for years — in a digital world that’s flush with access to information and one that’s inherently collaborative. Recognizing the expectations (and strengths) that emerge from that milieu, consider whether your company’s rules of interaction include opportunities and tools that allow an employee’s valuable idea — no matter where it comes from in the chain of command — to have its day. And then turn your teams loose. Their imagination will help fuel progressive new moves, and you’re furthering engagement within your ranks. Work is a personal endeavor; acknowledge the mindset. Engagement is deeply connected to how we incorporate the psychology of our workforce into our leadership strategies. Many employees come to the workplace with a thirst for interactive team leaders and mentors. They want to be brought inside the process, and they want the chance to put their own stamp on the work they produce. Shifting from older notions of “the boss” — lonely at the top — to a team-based concept is a significant step in that direction. Hire to engage. When interviewing potential executives, directors and managers, seek candidates who further amplify the culture of respect and reward you’re working to build. Is it clear that the candidate is personally engaged by the concept of being both a leader and a mentor? Also, your top-level players need to represent the same passion for career growth and personal growth as the employees that report to them. You can’t ignore one and expect the other to thrive. Stepping back into the process of crafting your company’s culture is key to the engagement of the employees on your teams. And that engagement is critical to keeping your talent — and resources — right at the core of your business. If growing your company to its full potential has lately seemed a bit of a mystery, then employee engagement could well be your missing link. Pursue it, implement it and get engaged. Staffing Strong is a marketing, digital and creative staffing agency with 20+ years experience connecting your business with the right people. We work with national clients and talent and are headquartered in Phoenix, Arizona. Join our email list and receive the Staffing Strong Job Search Survival Guide PDF. © Copyright 2017 Staffing Strong | Marketing, Digital & Creative Staffing. All rights reserved. All rights reserved. Site created by SEEDSGN.